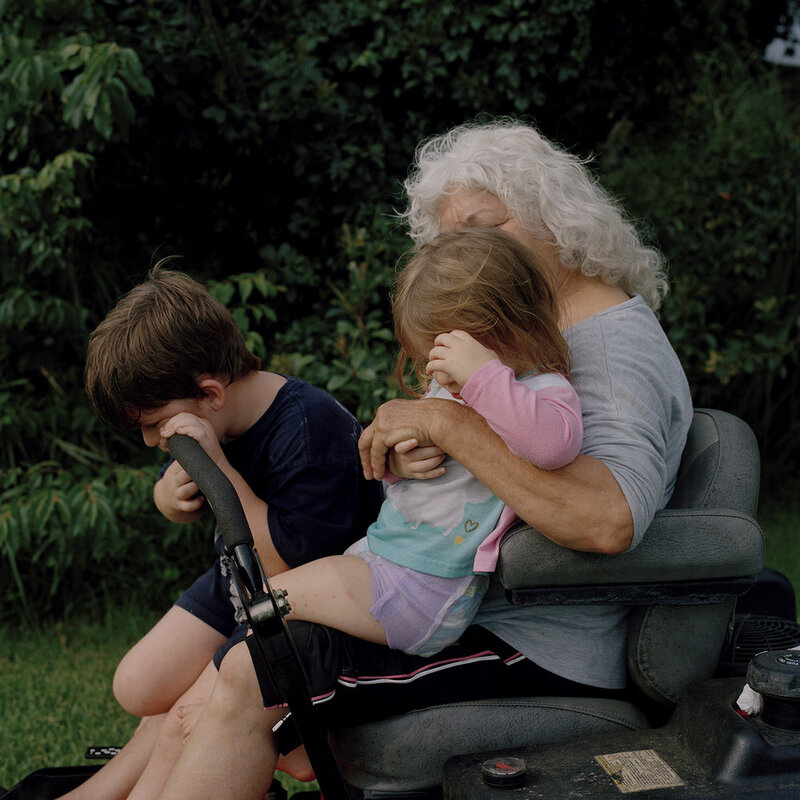 Rosie Brock was born in Charleston, South Carolina and raised in both Gulf Coast Florida and Virginia. Her work has been featured online on Aint-Bad, Oxford American, Juxtapoz, and Booooooom. Brock is currently based in New York City and will graduate in May 2018 from the BFA Photography and Video Program at the School of Visual Arts. 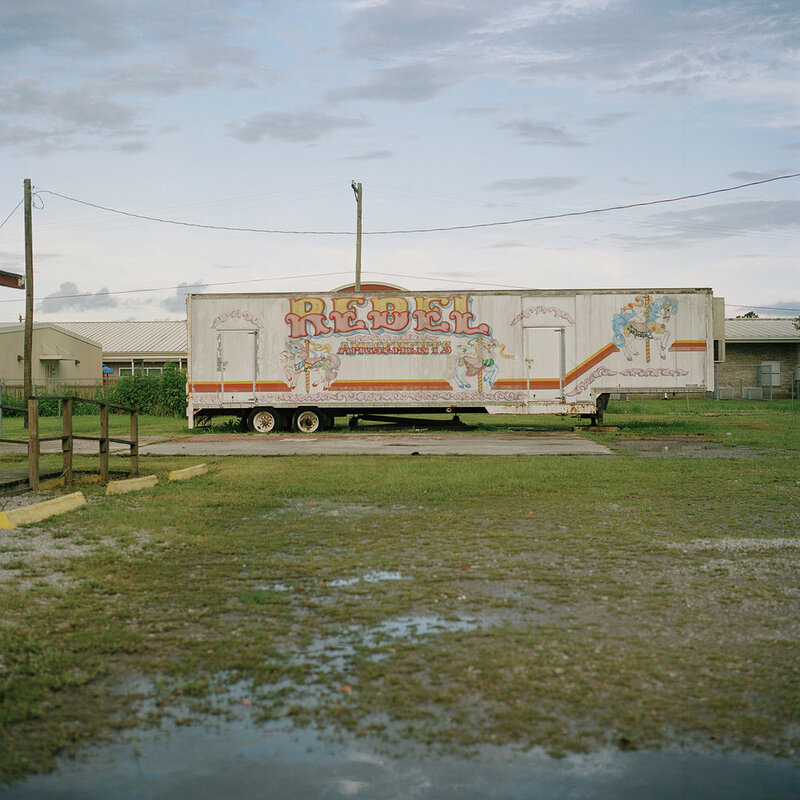 The humid, temperamental climate and flat landscape of Gulf Coast Florida served as the backdrop to my childhood. Torrential storms would roll in on most late summer afternoons around three o’clock, leaving behind the distinct smell of steaming rain on sweltering asphalt. During Hurricane Season sometimes the streets would be so flooded that my sister and I journeyed throughout our neighborhood, known locally as “Flood Acres,” in an inflatable boat. Enrolled in Christian school from ages five to thirteen, I grew up accustomed to the intertwinement of community and religion. Throughout the course of my childhood and early adolescence I was a white robed acolyte, a handbell player in the choir, and a puppeteer; advising congregants against the perils of sin under the guise of a smiling cloth doll. Every Wednesday evening before youth group, I attended church dinners -- the menu consisting of lukewarm hot dogs, granular lemonade, and yellow sheet cake served underneath the fluorescent lights of the Fellowship Hall. I remember numerous gaunt men with greying ponytails resting on their weathered sunburned necks. I remember women with long acrylic nails and Tammy Faye Baker- esque makeup sipping Diet Coke in the morning, leaving red lip-marks behind on the aluminum can. It was these seemingly mundane happenings and individuals that fascinated me then as a child, and continue to entrance me now as an image-maker. The years I spent living on the Gulf Coast and the regionally specific encounters I had there were a key motivation for this body of work, entitled And Ever Shall Be. Amidst the oppressive July air and lingering smell of sweat, I sought out individuals and scenes reminiscent of my own youth. The resulting visual narrative focuses on the nuanced relationship between the region’s deep-seated mythicism and its current socioeconomic reality. Comprised of intimate portraits and empty landscapes, And Ever Shall Be operates as documentation tinged with a slight haze of fantasy. 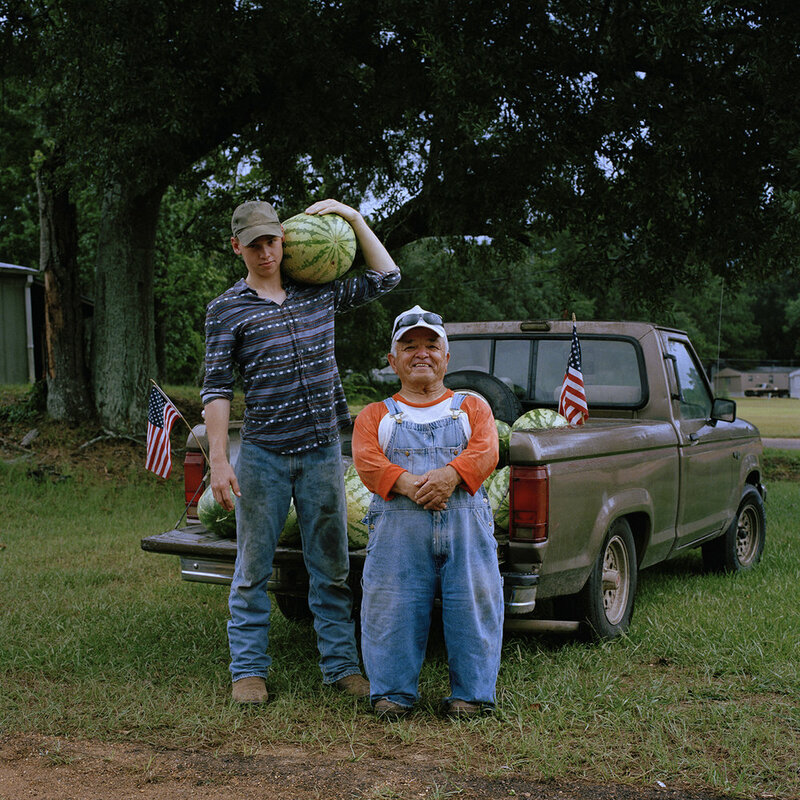 Furthering the magical realist element of the narrative, a recurring motif of the archetypal Southern county fair weaves in and out of the series. Having excitedly attended since childhood, summer carnivals have always personally symbolized a fascinating marriage of artificiality and idealism. 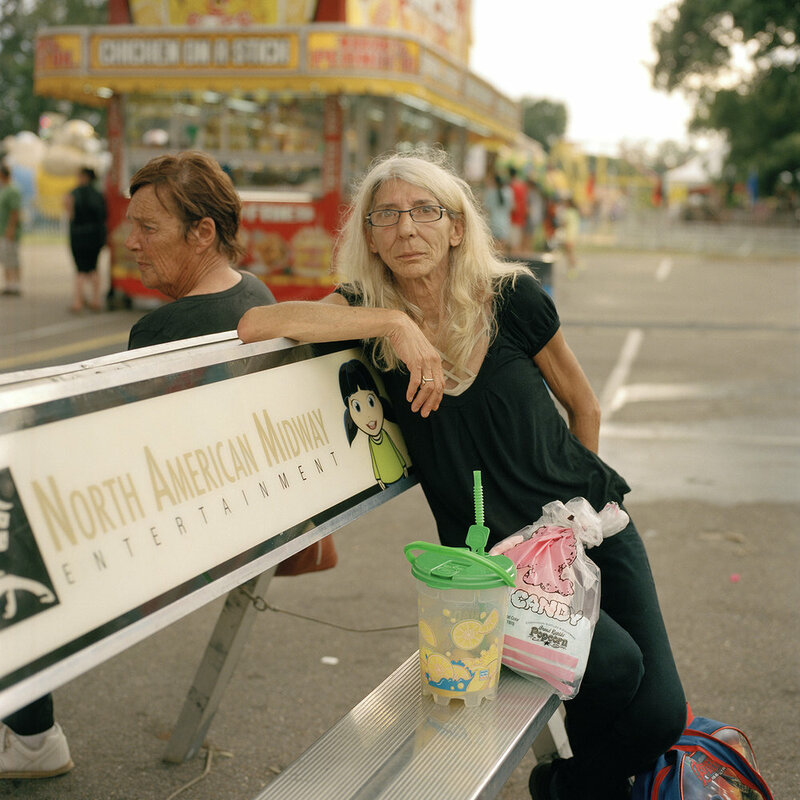 The tradition of the fair has become a cultural norm, thereby it is simultaneously mundane, yet fantastical due to its novelty. 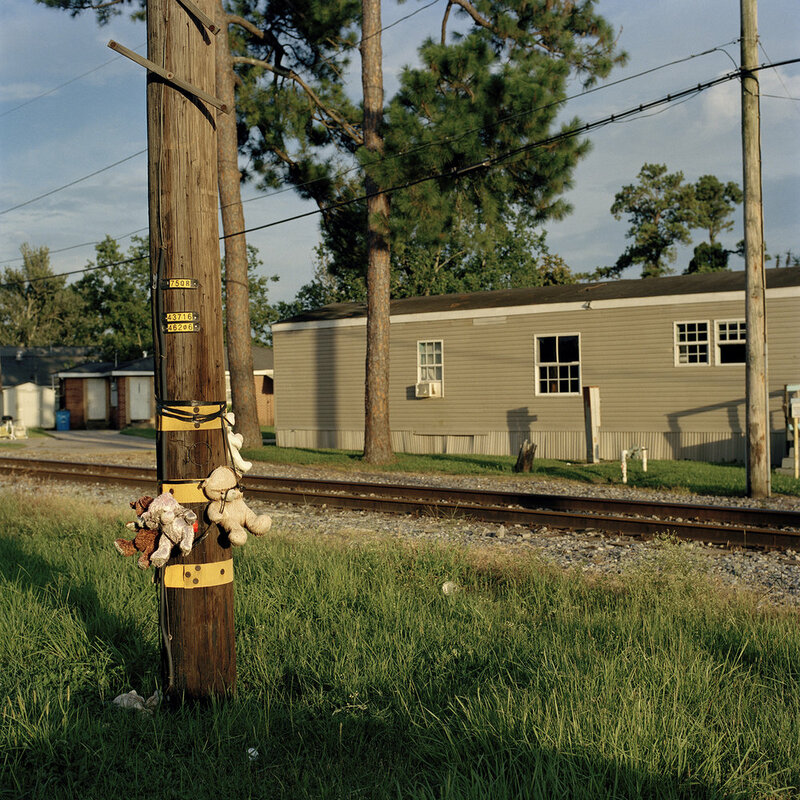 As a result, the fair functions as a metaphor for the unique dichotomy of banality and dynamism synonymous with the South. Why the School of Visual Arts? Around age fifteen I decided I wanted to pursue photography as a career path and from then on I began to gather information about which universities might be a good choice. A few years later when I was seventeen I attended SVA’s pre-college program and really enjoyed the experience I had. Beforehand I had entertained the idea of going to SVA for college -- after the program, my interest majorly intensified. Aside from my pre-college experience, I was drawn to the BFA Photography and Video Program because of the facilities, equipment access, and mentor program. Every year, Stephen Frailey, the department head, selects a number of senior year students to participate in the mentor program. Each selected student provides a list of five professionals (photographers, photo editors, curators, gallerists, etc) they’d want to have as a mentor for the year and Stephen arranges a match. At the end of the year there’s a large group exhibition in the SVA gallery space in Chelsea. Lastly, another determining factor in my decision was this very romantic idea I had of New York City. 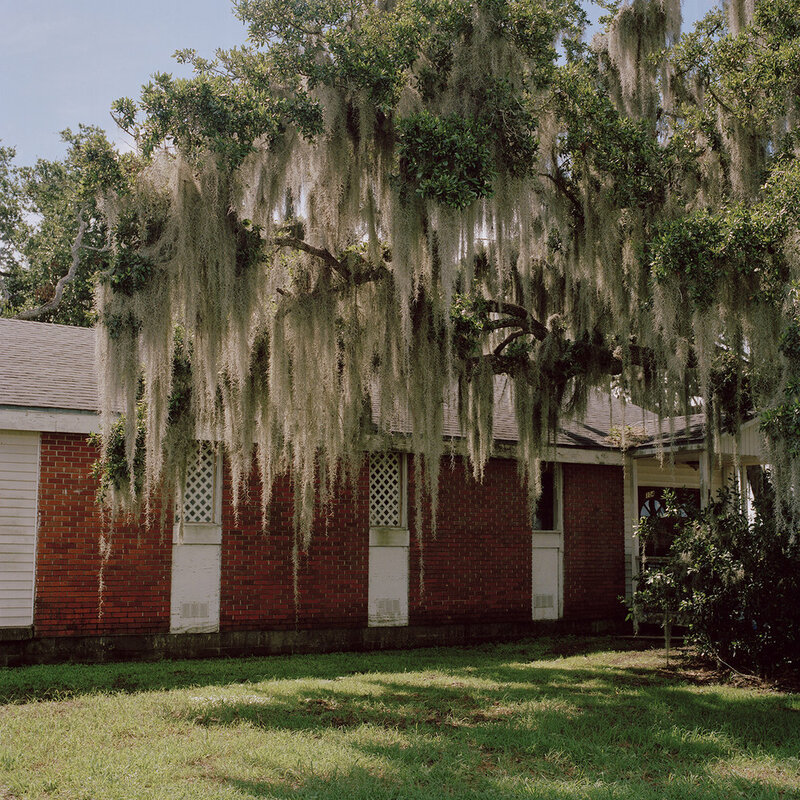 I really believed that it was the only place to be for photography, which is funny in retrospect considering my work transformed into a meditation on the American South. How has your experience at the School of Visual Arts informed or shaped And Ever Shall Be? For the past two summers I’ve left New York and lived in New Orleans, Louisiana. Both summers I’ve worked as a curatorial intern at the Ogden Museum of Southern Art, which was a really informative and immersive experience. I’d spend my days surrounded by incredible work by Southern artists, which further inspired me to go make my own photographs. After work and on the weekends, I would aimlessly drive around or go on pre-determined road trips in order to shoot. Once school began in the fall, I scanned all my film from the summer and presented different edits bi-weekly in my thesis class. The feedback I received in class this previous fall semester influenced the final selects for the project. There’s a wealth of art industry jobs/internships in the city, the accessibility students have to “real world” experience is something I’ve definitely tried to take advantage of. During the spring semester of my junior year I worked at David Zwirner gallery as an archive intern, which was an enjoyable learning experience. While there’s no shortage of art/photo industry jobs here, my main concern with continuing to live in New York is balancing a full time job and maintaining my own photography practice and/or a freelance career. I’m graduating this May so I’ve been thinking constantly about my post-grad plans and how to make the transition from student to working professional. My sophomore year of college, a T.A. told me that I shouldn’t allow myself to get so wrapped up in the aesthetics of the past that it prevents my work from speaking to the current time. I think hearing that encouraged me to contemporize my work, which in turn led me to embrace a more documentary style approach. What advice do you have for prospective students looking to attend the School of Visual Arts? The BFA Photography and Video Program at SVA is very comprehensive and allows each student to finetune their course schedule to fit their individual interests and needs. Many art schools mandate a foundation year, meaning that each freshman year student is required to take classes in an array of mediums before applying to a specific department. SVA is very different since you apply directly to a department and once accepted, begin a very in-depth curriculum focused entirely on the medium selected. My advice for prospective students is to be thoroughly committed to the medium/department to which they apply and secondly, to think really deeply about what they are looking for in a college experience. Considering SVA is in Manhattan, the city environment and school itself are very far from the traditional college experience. There’s no cafeteria, no nurses office (although mental health services are provided), and really no campus environment like there would be at a large state school. In my experience, it’s been relatively tough being an art student in New York City, mainly due to the daily stresses of the city, the wildly high cost of living, and the fact that I don’t shoot here. That being said, I absolutely believe that the education I’ve gotten at SVA has been top tier -- the way I think about photography and the work I make now has drastically changed from four years ago. What other photo programs and/or artists should we be keeping an eye on? I’m really interested in the Experimental and Documentary Arts MFA program at Duke University.